As the Uniting Church celebrates its 40th birthday the question of who will lead the church in the decades ahead has become increasingly urgent. Journey reports on the Next Gen Arise initiative, which may just hold the answer. It’s Saturday afternoon at Kangaroo Point Uniting Church, and inside the talk is of faith and leadership as Mike Hands from Newlife Uniting Church unpacks “servant leadership” with an attentive audience. There’s a panoply of ethnicities and cultures in the room (befitting a denomination committed to cross-cultural diversity) but when it comes to age there’s a narrower focus on youth. The gathering is the latest get-together in an ongoing series held on the last Saturday of the month through the Next Gen Arise initiative for young leaders, and there’s a palpable sense of optimism and hope in the room as talk centres on the current leadership challenges facing young people and how the faith can help shape a new future for the church. After Mike concludes his presentation, small discussion groups form with participants from Tonga to Taiwan, Fiji to Australia’s First Peoples; and talk unfolds around the values and characteristics of true leadership. As you look around the room an inspiring portrait emerges of the energy and commitment the younger generation have to where the church moves in the decades to come. 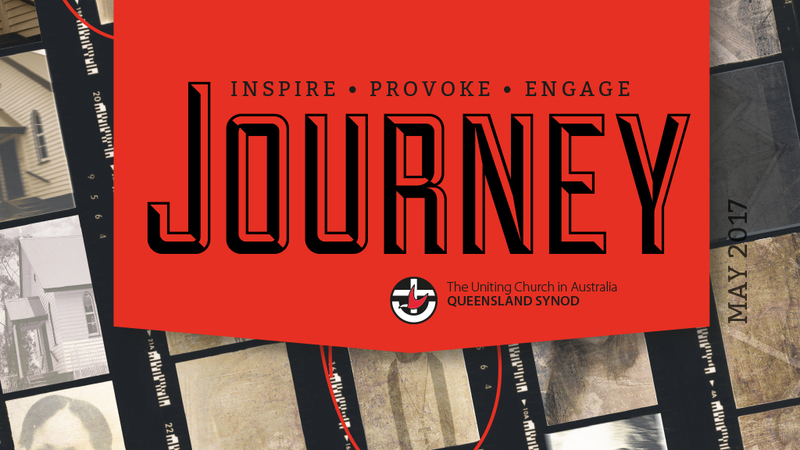 But it also reinforces the vital work the Next Gen Arise initiative does to manifest the Queensland Synod’s priority direction around leadership and ongoing commitment to diversity into a tangible program. While developing emerging leaders and increasing cultural diversity are not exactly new areas of concern for the church’s strategic influencers, the Next Gen Arise (NGA) initiative brings both priority directions together in synergy. And the signs are, it’s working well. 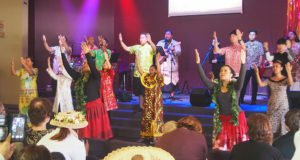 In 2015 after reviewing what its strategic priorities should be for the next few years, the Synod’s Multi Cross Cultural Reference Group (MCCRG) submitted a funding request to develop and train a network of emerging cross-cultural leaders. They were subsequently given the green light to fund a part-time project officer and some associated program expenses to kick-start the NGA concept. David Busch, South Moreton presbytery project officer (multicultural) and member of the MCCRG, explains the inspiration behind the vision. “Although the impetus for Next Gen Arise came from a perceived need among our multicultural churches, its vision is totally cross-cultural—that is, to equip, empower and inspire emerging leaders of all cultures (including Anglo) to exercise leadership in our cross-cultural reality of church and society. Concurrent to the MCCRG’s work were two resolutions raised during the 2016 Synod in Session which further crystallised the development of NGA: that the church focus on leadership and put in place measures to increase diversity in leadership positions, especially around key strategic appointments. 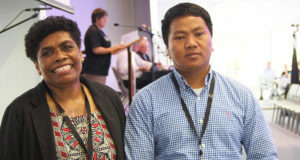 For the Queensland Synod’s general secretary Rev Heather den Houting, Next Gen Arise may be in its infancy but it offers great hope for how the Synod responds to an increasingly multicultural family. “If we see that 25 per cent of the Uniting Church in Queensland consists of people from culturally and linguistically diverse communities, then what are our programs and processes and pieces of work in there that give reality to the priority directions?” asks Heather. “Next Gen Arise meets all those criteria which is why it’s a fabulous piece of work. 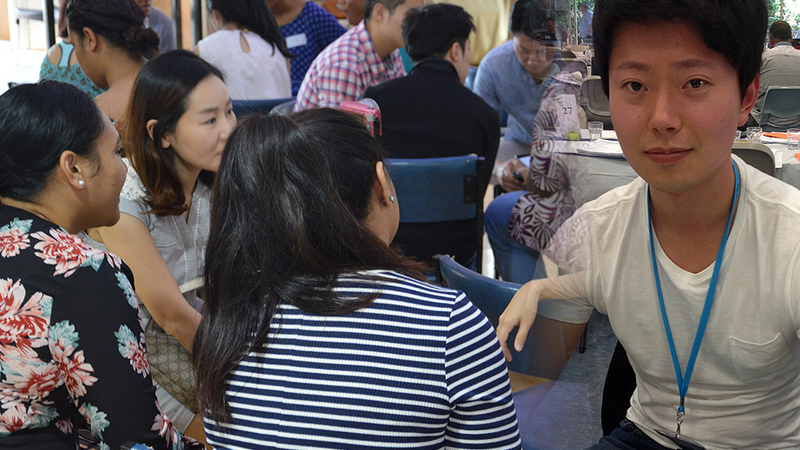 South Korean-born Noah Kim arrived in Australia 10 years ago to attend Bible college but soon embraced the welcoming community of Sunnybank Uniting Church where he encountered young people from a diverse set of backgrounds. 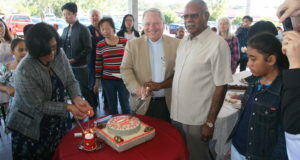 He received sponsorship from the congregation to stay in Australia as an international student pastor and later went on to become an Australian citizen. While he is now a candidate to become a Minister of the Word, Noah’s parallel role as the Next Gen Arise project officer has seen the initiative snowball. Noah quickly put together a team of 15 young leaders from eight different cultural backgrounds and set its mission around developing leaders “who inspire a movement of cross-cultural young people to passionately follow Jesus, selflessly build each other up, faithfully take places of leadership in the church and beyond, and fearlessly change the world”. The group identified three strategic areas to frame the NGA activities—equipping, networking and worshipping—and established regular meet-ups with tangible, realistic outcomes. “For ‘equipping’, we hold a gathering every last Saturday of the month which is run by leadership experts in the Uniting Church,” says Noah. “They focus on practicality and relevance. Katrina Tseng—one of the 15 young leaders Noah brought together during NGA’s initial development phase—has found the initiative a valuable opportunity to draw inspiration from others in a similar context. “Being bi-cultural, [Next Gen Arise] was something that I really felt I could identify with. Our worship gatherings and the sharing in small groups that we’ve had so far have identified people are not alone in their experiences. While Next Gen Arise has indeed arisen with a sense of confident purpose there is major planning in the works to strengthen its capacity and reach. 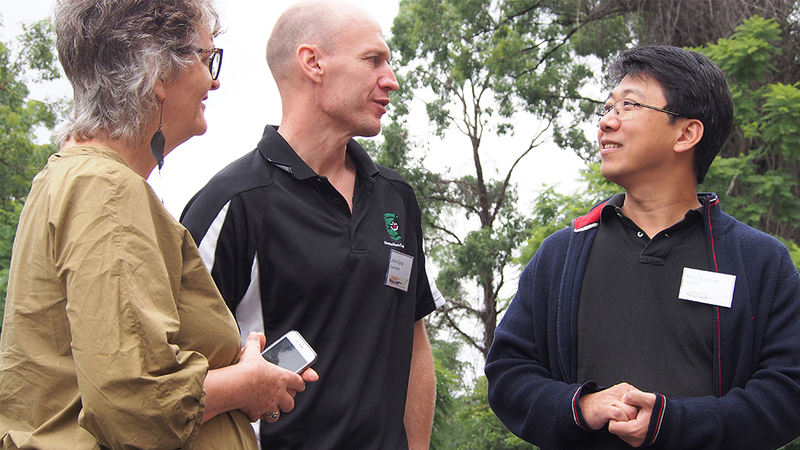 Opportunities to undertake a Period of Discernment, theological training in a leadership role and stronger connections with remote faith communities are all being discussed as future projects. 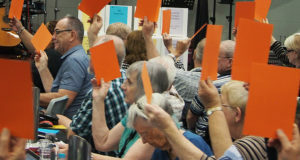 Rev Heather den Houting is keen to stress that beyond the funding and normal channels of support the Queensland Synod provides to NGA, there is a broader strategic goal of ensuring other Synod initiatives coalesce with the work of Next Gen Arise. “One of the pieces of work we’re trying to do is get as many from non-English speaking backgrounds, young leadership potential people to Synod in Session so they can be part of the conversations about where we go, as opposed to having things imposed on them. Whatever the future holds for the Uniting Church, initiatives like Next Gen Arise are positioned in the best possible way to accommodate Australia’s shifting multicultural demographics and the church’s urgent requirement for younger leaders. If Noah and his team are any indication of the commitment and innovation the church’s next generation of leaders has, then the future looks bright.